Chevy’s CUV is embracing the 2017MY with a slightly modified front fascia featuring modified headlights and grille in the same vein as the ones seen on the latest Volt, Cruze, and Malibu. 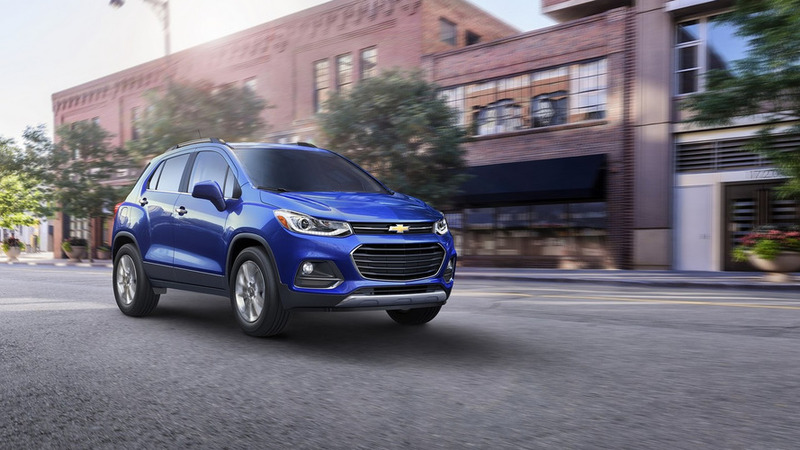 Trax designer Steve Kim says the visual tweaks have enabled a “more sculptural, sophisticated design” thanks to the dual port grille and sleeker headlamps. LS models benefit from new halogen reflector headlamps and if you upgrade to the LT or Premier trim you get halogen projector headlamps incorporating LED daytime running lights. Other changes in the aesthetics department include chrome accents around the fog lamp bezels, lightly modified rear bumper, and a new look for the taillights. Rounding off the exterior revisions are the fresh 18-inch alloys for the Trax Premier. Stepping inside, Chevy has made changes to the dashboard that now hosts a seven-inch MyLink touchscreen for the infotainment system supporting Apple CarPlay, Android Auto, 4G LTE, and Wi-Fi hotspot. There’s also a Galvano chrome trim to spice things up and from now on the Premier models benefit from a contrasting instrument panel trim matching the leatherette seating trim. On the safety side, the 2017 Trax gains a variety of assistance systems, such as Side Blind Zone Alert, Rear Cross Traffic Alert, Forward Collision Alert, and Lane Departure Warning. As standard, the CUV is offered with ten airbags and a rearview camera. There aren’t any changes under the hood where we find the same turbocharged 1.4-liter engine pushing out 138 horsepower (102 kilowatts) and 148 pound-feet (200 newton meters) of torque delivered through a six-speed automatic transmission. Chevy will exhibit the 2017 Trax at the Chicago Auto Show later this week and will start selling it this fall.